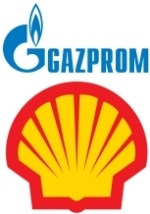 édité le 05/10/2018 - Plus de news de "GAZPROM" - Voir la fiche entreprise de "GAZPROM"
Vitaly Markelov, Deputy Chairman of the Gazprom Management Committee, and Maarten Wetselaar, Member of the Executive Committee of Royal Dutch Shell, signed at the 8th St. Petersburg International Gas Forum the Framework Agreement on the joint design concept (pre-FEED) for the Baltic LNG project. The document outlines the next stage of the Baltic LNG project in the lead-up to the FEED stage. During the signing process, the parties noted that the joint feasibility study had been successfully completed. Royal Dutch Shell plc is a British-Dutch oil and gas holding company focused on hydrocarbon production, processing and marketing in more than 70 countries. In 2017, Gazprom and Shell inked the Heads of Agreement to set up a joint venture for the purposes of implementing the Baltic LNG project and signed the Joint Study Framework Agreement to that effect. The Baltic LNG project envisages the construction of an LNG plant in the port of Ust-Luga, Leningrad Region.